John Lowenthal is the managing partner of the San Bernardino office of Lewis Brisbois and co-chair of the General Liability Practice. He has over 30 years of experience litigating and trying personal injury claims involving catastrophic injuries, wrongful death and toxic exposure, as well as large-loss property claims resulting from fires, explosions, product failures and flooding. His litigation and trial experience include industrial and construction site accidents, premises liability/negligent security, products liability, hospitality, commercial auto, trucking and food chain liability. Mr. Lowenthal also practices in the areas of professional liability, construction litigation and Directors/Officers liability. 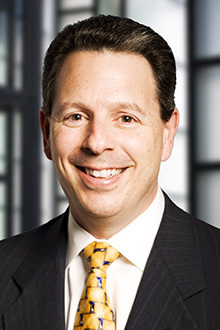 John is a member of the American Board of Trial Advocates (ABOTA); his extensive and diverse trial experience includes wrongful death, brain injury and other serious bodily injury cases involving construction site accidents, premises liability, products liability, commercial and personal vehicle accidents and fires/explosions. He has also tried to verdict construction defect and fire cases involving property damage. Mr. Lowenthal has tried in excess of 25 cases to verdict and mediated/arbitrated well over 500 cases. General Liability: defense of construction site and industrial accidents, products liability, trucking accidents and toxic torts. He has extensive experience defending matters involving issues of food chain liability, premises liability, security, hospitality, auto liability, physical assault, sexual assault and other general liability cases involving major injury, wrongful death, paralysis, brain injury and large loss property claims. Construction/Industrial Litigation: defense of owners and contractors against claims arising from job site accidents, including falls, fall protection and barrier issues, traffic control and road construction accidents, equipment failure and mis-use, structure failures, crane accidents, overhead equipment accidents, power line/electrocution claims, excavations, oil field and drilling accidents, exposure to chemicals and hazardous substances, product spills, defective walkway surfaces, stairs, ramps, markings, lighting and improper maintenance claims. Experience also includes representation of developers, general contractors and all manner of sub-contractors in connection with both commercial and residential construction defect claims. Products Liability: defense of product manufacturers, distributors and retailers in connection with major injury, wrongful death and burn claims involving automobiles, auto/truck tires, motor boats, propane valves, fan blades, go-carts, paper machines, hand and power tools and display fixtures. Transportation: all forms of wheeled transportation from bicycle/motorcycle to tractor/trailers. Experience includes defense of accidents involving commercial vehicles and permitted motor carriers engaged in both intrastate and interstate transport, as well as load securement, loading and unloading accidents. Professional Liability: defense of architects, engineers, attorneys, insurance agents and brokers, real estate agents and brokers. Homeowners Associations & Common Interest Development: Extensive experience over 30 years representing Homeowner’s Associations and Common Interest Developments in general liability matters, primarily involving bodily injury and wrongful death claims arising from alleged dangerous conditions of common areas, including swimming pools and private lakes, security issues, allegedly inadequate rules /procedures and/or failure to enforce same. Over the last 15 plus years, representation has expanded to include defense of claims against Associations and their individual officers and directors involving a spectrum of issues ranging from wrongful foreclosure, defamation, discrimination and Unruh Act violation claims to property damage for alleged failure to maintain/repair common areas and other Association property.